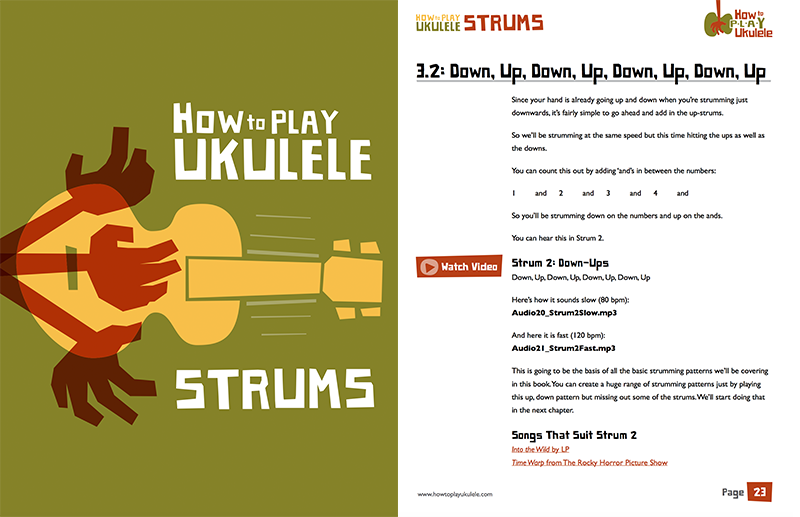 If there’s one thing that most beginners struggle with when it comes to learning to play the ukulele, it’s strumming. This can cover a lot – it may be that the action of strumming is proving to be difficult or it could be dealing with more complicated timings that is proving difficult. 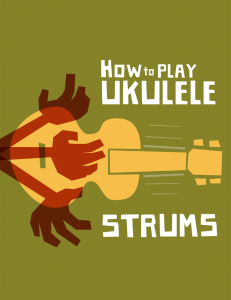 How To Play Ukulele Strums is here to solve all your strumming troubles. This 103 page ebook walks you through everything you need to know to become a master strummer. 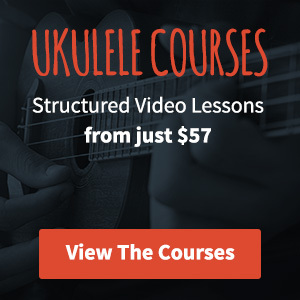 From getting to grips with musical notation to being able to count your strums to working with unusual timing, emphasis and more. You’ll learn everything you need to become a master strummer. The ebook is supported with 123 audio mp3 files for you to listen to and learn from. There are also more than 60 supporting videos on Youtube too for those that prefer some visual cues too. By the end of the book you’ll be a bit of a master strummer. You’ll be able to count out strumming patterns and play them exactly as they should be played. A little strumming demo for my website. What's your go to strum pattern? You’ll get to grips with more complex strumming techniques like triplet strumming, split strokes, fan strokes and more. Later in the book you’ll learn some specific strums in the style of Israel Kamakawiwo’ole, Roy Smeck, Nile Rodgers, Bo Diddley and more.